Door not fully closed on Réda. Coventry City manager Tony Mowbray has revealed to The Coventry Telegraph that the door’s not fully closed on Réda Johnson’s Sky Blues’ career. On Monday, former City captain Johnson was one of ten City players who was informed by Mowbray that his contract was not being renewed. After his season was ended by a serious hamstring injury back in October, Johnson has now been back doing light training for a month and Mowbray has stated that The Club will continue to see him through the final stages of his rehabilitation. 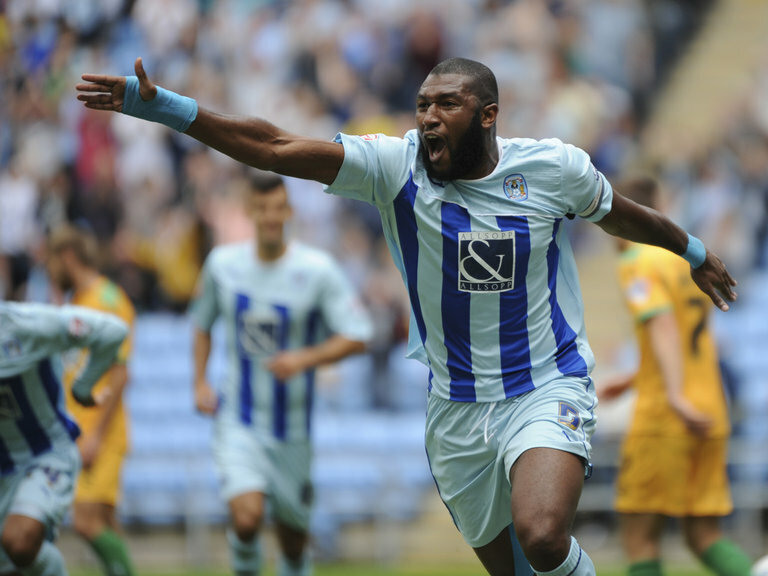 “The possibility is still there and Reda knows that,” explained the Mowbray to The Coventry Telegraph. “Reda needs to get fit and go to the market and if there are clubs there who are willing to pay him what he thinks he’s worth then good luck to him. There’s no offer on the table. He has to get fit first. “He is going to train here and work until he’s fit to play and if he needs to he’ll join in the pre-season. It depends how long it’s going to take him to get fit. “At this moment he’s not sure. He’s been training for a good month or so but he just needs to get the power back in his hamstring. The muscle has healed and he needs to get the power and get the nerves working and mobilised again. “We’re happy to do that for him, allow him to continue his rehabilitation and then he has to prove some sort of fitness. So if it is then going through pre-season and he wants to do that here I am not averse to that and then on the back of that we will see. “I think we would have to see that he is fit and other clubs, if he has potential suitors elsewhere, they would need to know that he’s fit. “I think it’s unlikely that someone is going to throw a load of money at Reda because he hasn’t played that much football. “I can’t get bitten twice by the same dog, if that makes any sense. Even though when he’s playing he’s a fantastic football player, definitely at this level. That’s the scenario and the fact that he’s been released doesn’t mean we wouldn’t covet his services again at some stage. In two seasons with the Sky Blues, the former Sheffield Wednesday and Plymouth Argyle defender has only made 34 appearances due to injury.